Different businesses today operate utilizing various IT service models. The best systems build a communication and data access structure that allows organizations to experience improved interactions amongst employees within the company, as well as with their customers and other clients. With the impact brought about by these delivery models, all areas in business operations undergo a huge positive turnaround. 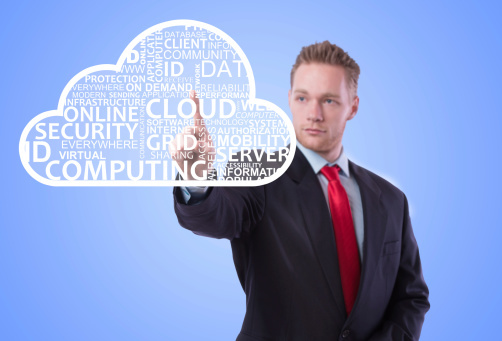 The advantage that comes from functioning in the midst of a cloud market is rapidly evolving. As a matter of fact, several companies worldwide have already allocated a percentage of their IT budget specifically for cloud computing. These business players believe that doing so will serve as a key initiative for an investment in their organization. By doing so, these organizations are given the opportunity to enhance the usage of cloud services coming from external providers. This is what they typically label as a ‘healthy investment trends’ in cloud computing. This also highlights a shift in expenditure from traditional and standard IT assets. This fast evolving trend is considered good news for different IT service providers who offer professional services that deploy cloud environments to various business organizations. One particular delivery model in implementing cloud telephony is by means of Unified Communications. Cloud technology is basically service-based by nature. As a result, it is often seen as a key driver for wider acceptance of Unified Communications. This technology covers and combines the functionalities of remote, desk, as well as mobile applications. This has given birth to the term ‘collaboration-as-a-service’ or CaaS. With the existence of Unified Communications in companies that are taking advantage of cloud technology, certain advantages are seen. For example, employee subscriptions can be activated, while providing opportunity to some, or all of the existing services, as required by the organization. Also, the need to buy additional hardware and software for a computer is eliminated. According to Frost & Sullivan, recession plays a big role in this situation. It has driven the cloud based Unified Communications market in Europe. In that territory, organizations who are interested in availing Unified Communications in order to cut down expenses while increasing productivity can search for alternative delivery options despite being in the midst of limited budget for capital expenditure. This triggers people and business owners to quickly decide in favor of using the cloud technology. Unified Communications offer several benefits to different businesses, regardless of their size. Here are some of the benefits offered by such technology. Technology Collaboration– This technology introduces a virtual place where employees and business partners can meet and collaborate with each other with the use of advanced data sharing. Organization Communication– This also improves business communications by bringing all existing modalities and devices in just one place. For example, with just a mouse click, an instant message may be converted into a conference call, or perhaps a one-on-one phone call. Access– Remote access is offered by Unified Communications. An employee can have the opportunity of connecting to the internal network of their company using their personal gadgets. Integration of Business Processes– Unified Communications also stretches the integration of both communications applications and data, thus promoting a sense of continuity and consistency across different business processes. Company Presence– With the introduction of real-time presence interface, the availability of other users, as well as their preferred communication style is enabled. With all the evidence presented above, it is safe to conclude that Unified Communications have helped a lot of companies reach their goal of improving their communication yet cutting costs. Michelle Patterson helps companies understand and adopt new technologies in all aspects of their operations. She is currently working on new communication technologies that are promising a paradigm shift.